My middle boy, Max, is lovely. Quiet, unassuming, helpful, generally happy to be left to his own devices. This does mean that sandwiched between two far more demanding children, I worry I neglect him a bit while dealing with the far more in my face requirements of the other two. To try to balance this a little, I make sure that every summer holidays we have a day out somewhere, just the two of us. Last year we visited Bristol, this time we went to London. We opted to head for Greenwich and started our time in London with a boat trip from the London Eye down to Greenwich, which meant we could take in all the sights of London on our way down the river. Once at Greenwich our plans were to visit the Observatory, the Maritime Museum and the Cutty Sark. In the end we only achieved two out of three as there was so much to see at the Observatory that we ran out of time to visit the Maritime Museum en route to the Cutty Sark. Getting to the Observatory does involve a bit of an uphill hike, but totally worth it for the amazing views of London once you get there. That is even older than me…. We enjoyed the various exhibitions at the Observatory, there was a huge queue to be photographed on the Meridian line, but we managed to sneak a pic on a different part of it! The history of time keeping was fascinating, and all the cogs, wheels etc made for cool exhibits. It was really interesting seeing the astronomical equipment from through the ages, but our highlight was definitely the Planetarium show. Ably introduced by a knowledgable and very funny host, we then settled right back in our seats to explore the ‘Dark Universe’ and it was utterly awe inspiring! We also loved the Cutty Sark – loads to look at at learn about on board such a stunning historical ship. I would def recomend it for those with younger children too – there was loads of hands-on stuff that Syd would have loved, will be making a return visit with him at some point soon. Another boat trip back up the Thames, then we had enough time to take a stroll along the South Bank before our train. There is always something exciting to see here – art exhibitions, street performers – so much colour and life – we both really enjoyed this added bonus at the end of our day. Then a sleepy train journey home again. I had such a lovely day, my boy is clever and interesting company, and also very, very funny. We had a smashing time and I look forward to our next jaunt! It is so lovely to see your special time together – looks like you both had a fantastic time. One of my favourite parts of London. Did you know the Old Man proposed to me astride the meridian line whilst reciting Elizabeth Browning?! How lovely to get that special time together. He had a big smile on his face and obviously loved a day out with his mum! What a lovely day you had together – I try and do this with my two every now and again and they always open up so much more when it’s just the two of us! cass recently posted…Is a packed lunch really cheaper? I think its so lovely that you both got to enjoy a day together just the 2 of you! Its looks like you had so much fun London is definitely somewhere I hope to take my little boy in a few years time! 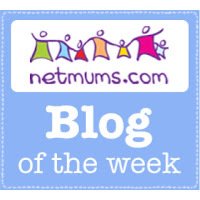 Jess Howliston recently posted…Sharing some advice for new mums. What a special day! I have two easy children and one demanding one! It’s definitely hard being consistent isn’t it. What a charming boy you have who will no doubt become a charming man. We have similar taste! We loved Bristol when we went and my son and I just went off together to Greenwich and loved it too. We were really lucky to stay one night so we managed to fit in the Maritime Museum (fantastic!) and a trip on the cable car too. It’s such a beautiful place, isn’t it? We thought how great it would be to stay there if you were visiting London. We have just written about it on our blog, so please take a look if you like. What a lovely thing to do! Every time I read something like this I feel very jealous and wonder why I don’t take one of my kids out on their own! Greenwich sounds like a very interesting place to visit. Looks a lot of fun. Must take my son back to Greenwich – it’s been years since we visited.